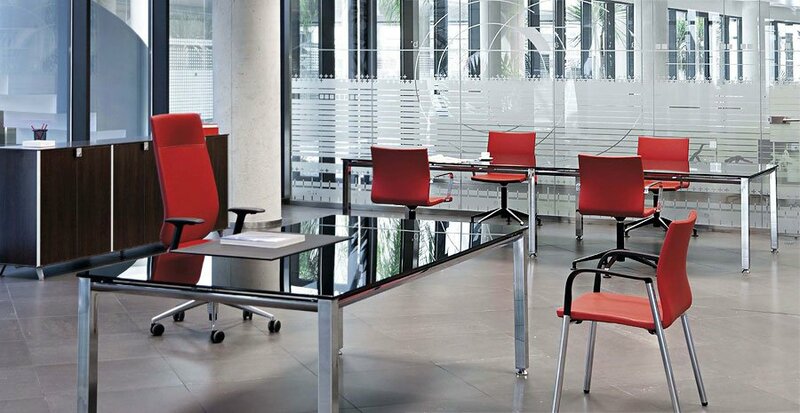 The 'Vital' range offers a high standard of glass office furniture. 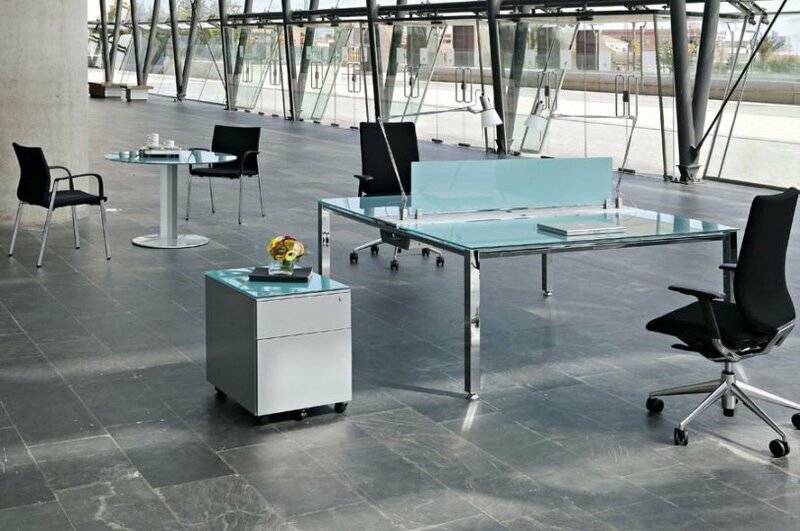 simplistic in design and very contemporary, some may say that it could be 'vital' to have this range in your offices. 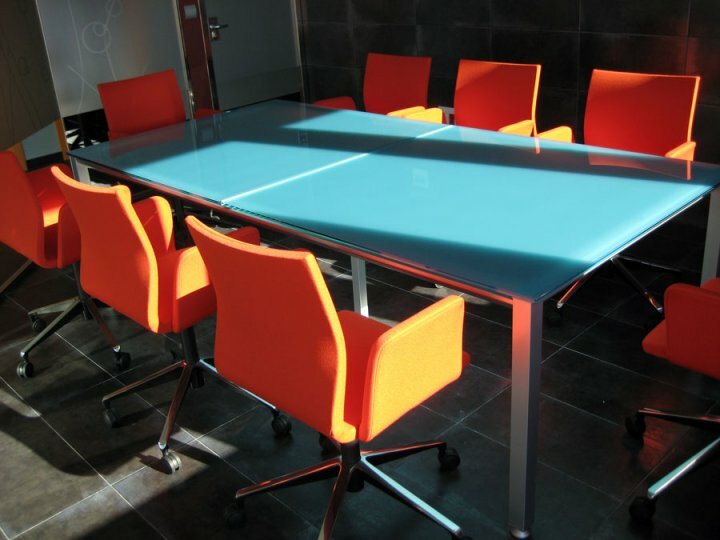 The glass can come in 4 different finishes (White, black, blue and frosted) and the frames in 2. 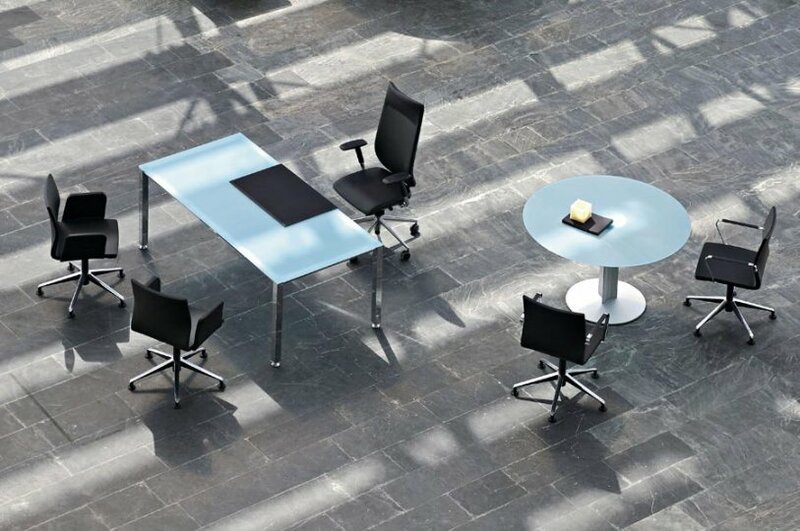 The desks are also available with castors as an option. 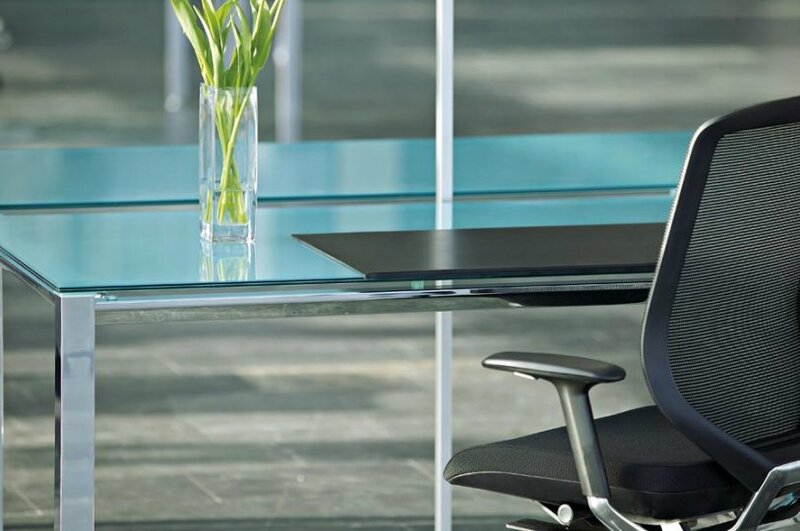 Glass is a great finish to have when looking for an extra special modern look in the office and it comes with a a clean finish. The lead time for this range is around 4 weeks and comes with a five year warranty. 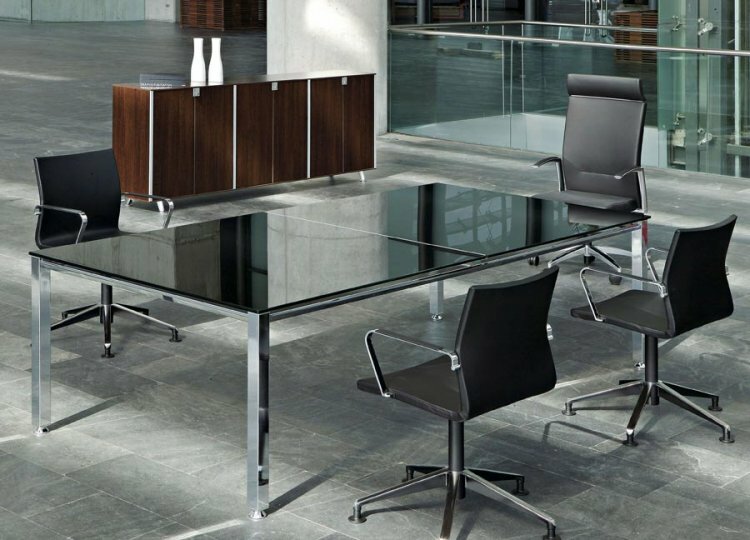 The installation of the furniture is very easy and straightforward, but if this is something that you would like us to look into then please do not hesitate to contact a member of our team.